Aldinger Scholarship Recipients: One Year Later | Highfields, Inc.
Last year, 19 individuals received Highfields' Aldinger Scholarships to support their educational goals. Five students share where they are one year later and the impact the scholarship had on their lives. Aliyah: I am currently in my second semester of my freshman year at Grand Valley State University, and everything is going well so far. I’ve joined some clubs, made great friends, and have been enjoying the wide spectrum of my class schedule. I feel as though I have finally found my routine for the year! I’m still on track for Pre-Veterinary Medicine, and I’ve even been able to fit in some shadowing hours over the semester at a local clinic as well as discuss the future of my vet schooling and career with a veterinarian. I just came back from a Public Health Brigade in Honduras which was quite exciting and eye-opening. The Aldinger Scholarship was beneficial towards my school tuition. It’s a nice weight lifted off my shoulders knowing even a portion of my tuition is covered, which I’m very grateful to Highfields for. As for the next school year, I plan to take a course at Grand Rapids Community College, while still at GVSU, and I’m planning to apply for this year’s Aldinger Scholarship as well. 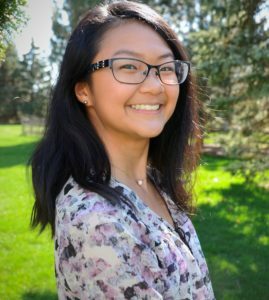 Jenny: Since receiving the Aldinger Scholarship, I’ve started my first semester at Michigan State University working towards a bachelor’s degree in Mechanical Engineering. One of my goals was to obtain an internship or a co-op in my field of study during my time at MSU. I unexpectedly received three different offers for co-op positions for the spring 2019 semester, and eventually accepted the position at Emerson Climate Technologies as a Supplier Quality Engineer co-op. The scholarship has helped me cover the costs of my co-op class and textbook that I have to take this semester, and it had also helped me with the cost of my textbooks for my fall 2018 semester. 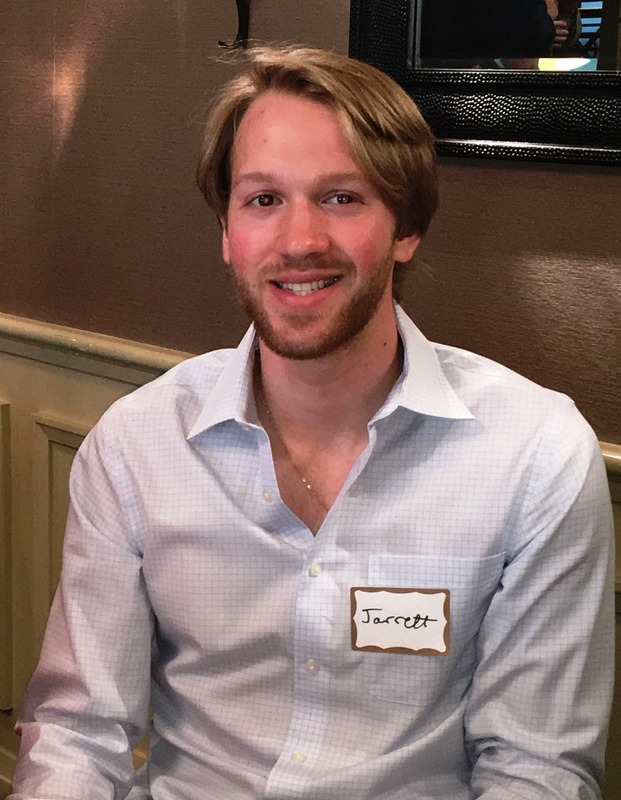 Jarrett: The Aldinger Scholarship has helped me to focus more on my academics and extracurricular activities to prepare for career building. I have also been able to refrain from taking on as many student loans due to the help of the scholarship. This means I have been able to take part in some non-paid learning opportunities such as internships while regularly pursuing my degree. 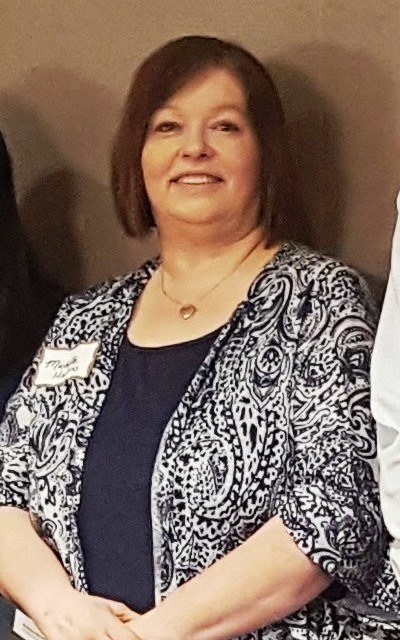 Michelle: The Aldinger Scholarship made it possible for me to obtain my Associates of Applied Science. My children get after me when I call it "just an associates degree" because it really is much more of an accomplishment than I tend to make it out to be. It has opened a lot of doors for me in the job market. I've always had plenty of experience, but coupling it with even "just an associates degree" gives me that competitive edge to help me land the job I need. I think it's important to point out that achieving an educational milestone is only a small sample of what the scholarship from Highfields has done for me. I had given up on the dream of anything higher than a high school diploma many years ago. With children and grandchildren, I really believed that ship had sailed. I lacked the confidence and drive to achieve more. But both Eric and Bev from Highfields gave me the pep talks I needed to pursue more, because I wasn't "too old" like I had convinced myself that I was. Even more importantly, it's clear to see the 'trickle down" effect of my pursuit of education. When you have a parent that doesn't see the value in an education that sends a clear message to the children that school is not a priority. I am a mother of five adult children. When I made the decision to start college, only one of my five kids had graduated school. I had three more that had dropped out and my youngest, Sam, was still in high school, but clearly at risk. Since I made education a priority in my life, my son, who'd dropped out of school at age sixteen has not only obtained his GED, but is currently taking courses at Second City in Chicago. My daughter went back to school and earned her high school diploma. And Sam, now twenty years old and a single mother of a seven month old daughter, has just one final exam left to take and will be graduating from Da Vinci High School. She has solid goals of her own now and intends to start college in the fall. 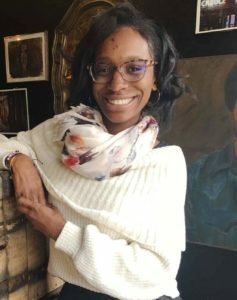 She would like to turn her passion of photography into a career and plans to take courses to make that happen, but will also be seeking certification as a phlebotomist so she can support her daughter. They are solid goals and I'm so very proud of her. So really, the Aldinger Scholarship awarded to me has not just helped me. It's helped, and continues to help my entire family. I will be forever grateful. 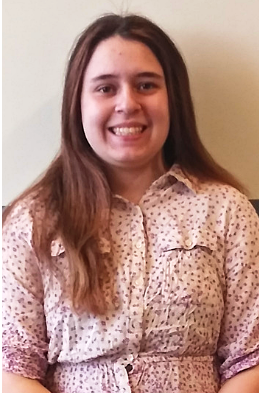 Sarah: Thanks to Highfields, I am attending Spring Arbor University (SAU) and I was able to afford living on campus. This cut down certain expenses and introduced me to my new close friends. I have met new people and have had so much fun with my hall mates. I am working hard at SAU. I decided on getting an English major and I plan on becoming a journalist or an author. SAU has many opportunities for me to grow in this field. I joined the school’s newspaper called The Pulse. I am a staff writer and my articles get published monthly. Also, I am taking News Reporting. I have learned so much about writing news from the class. I am very grateful for Highfields' Aldinger Scholarship and kindness to support me receiving an education at SAU and a giving me a chance to grow as a person.